Safeguard Safes has over 55 years of experience and expertise in the restoration and reconditioning of quality antique heritage safes and have earned a long standing reputation for our high level of traditional craftsmanship which is amongst the finest in the safe and vault industry. Our master safe restoration specialists will sympathetically and meticulously restore your safe to it former glory using old hand crafted methods and employing skills, techniques and processes that have long since disappeared to today’s modern technology. From a basic safe refurbishing which may include such things as a minor safe repair or skillfully restoring your safes original heritage look whilst still preserving, enhancing and maintaining its beauty and charm along with the safes original function and purpose of being secure. We understand that you will not have the technical information to provide us, so if you can forward a few photographs of the inside and outside of your safe to be restored along with any information you can provide regarding your safe (from your phone will do) or alternatively you may wish to email us at or send a query via our contact page and we will get back to you asap or simply phone 1300 764 971 and speak directly to a safe restoration technician. The photo’s and information you provide will help us establish an understanding of your safes condition and the restoration work involved and the general condition of the safe. Our safe and vault restoration service also provides – Safe Relocation, Safe Removal, Safe Disposal, and we may also purchase your safe if you no longer require it. This would be dependent of the quality and condition and other factors of the safe or vault, and also taking into consideration pick up and removal costs involved. 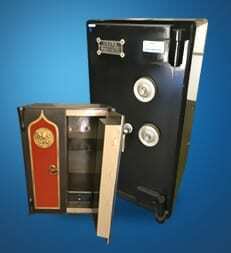 Some safes or vaults have value whilst others do not and will need to be disposed off. We provide no obligation quotes to remove and dispose of safes or vaults.